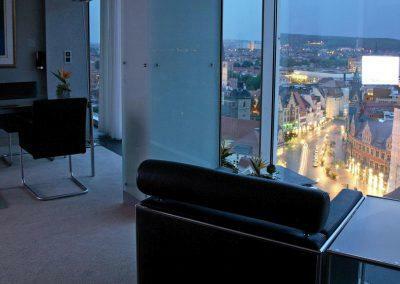 With breathtaking views over the city of Erfurt, this Radisson Blu Presdential Suite represents the beauty and charme of luxury. 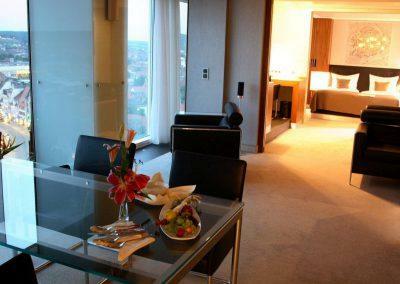 This 110 sqm suite features bedroom, bathroom area with a sauna and jacuzzi, walk-in closet and a separate living area with a fireplace and extra large flatscreen TV. The Presidential suite could be enlarged from 110 sqm to 150 sqm with the neighbouring Junior Suite.